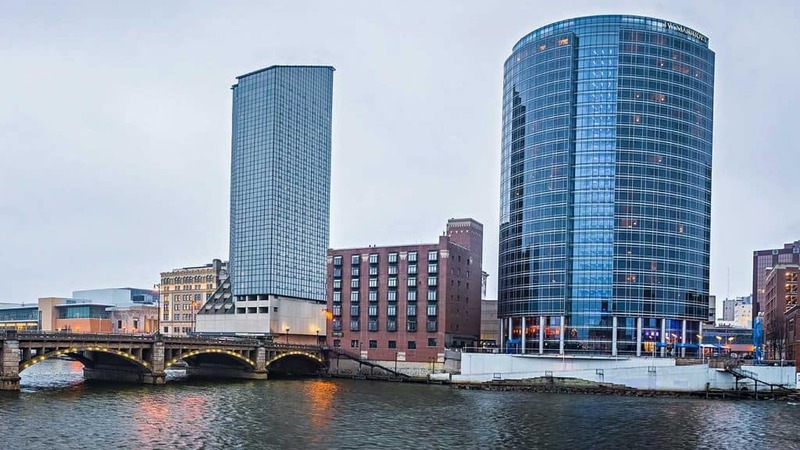 Heading inland a bit from Lake Michigan and Holland, Grand Rapids is a great place for business and leisure. The perfect balance you might say. That’s why we love building custom affordable websites for business in Grand Rapids. We’re a big fan of the beauty and recreation of Grand Rapids. Some of our favorites are visiting the animals at the John Ball Zoo and of course, our trip wouldn’t be complete without a trip out to Frederik Meijer Gardens. With all the wonderful things about Grand Rapid, Michigan the art, music, food, and of course the beer is just the icing on the cake. There’s a lot of people looking for businesses in Grand Rapids and you can take advantage of that with a good online business strategy. Grand Rapids puts a lot of effort into promoting activities and bringing people in droves. That means there’s a great opportunity for your business to capitalize. That is if you’re in the right place and they can find your business. We’re here to help you take advantage of the possibilities to grow your business and reach more consumers in Grand Rapids. There are three steps we’ve laid out to reach more customers which hinge around custom affordable web design. Whether you’ve started your business and want to reach a new audience or are just starting up, we’re here to help. With a great website that’s built specifically for your business and city, you can get seen when people in Grand Rapids search for what you do. We build custom affordable websites specifically for that purpose. Our goal is to help local businesses in Grand Rapids reach a larger audience. With a custom website, directory listings, and a reputation management you can reach more local consumers in Grand Rapids. These resources are helpful for starting and running a local business in Grand Rapids. Be sure you also ensure you rank high in search with our business listings management platform. Starting & Running a Business in Grand Rapids – this is a Grand Rapids city resource with help for business owners and those starting a business. Grand Rapids Chamber – get resources for local businesses and join to get listed in the local business directory. 5 Grand Rapids Small Business Resources – some good resources for small businesses in Grand Rapids. Ready for custom affordable web design in Grand Rapids like no other? We'll create an amazing and fully custom website built specifically to help people in Grand Rapids, Michigan find your business.